What do Darth Vader, a Tie fighter and a Volkswagen have in common? Looking to make an impression with your fellow RVers? 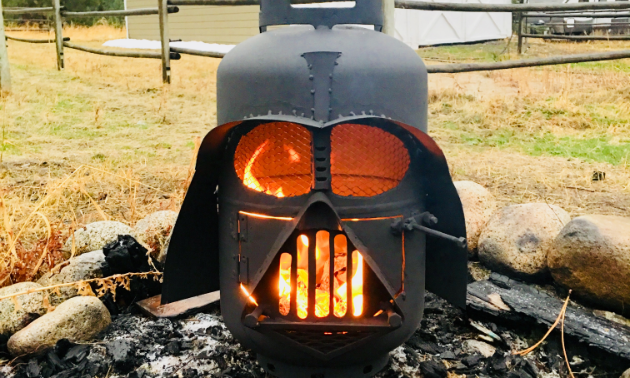 How about a firepit shaped like Darth Vader’s iconic helmet? It’s all possible at the Barnyard Empire! Rather than pony out the dough for a fancy firepit, Schewe decided to build his own with the help of his family. 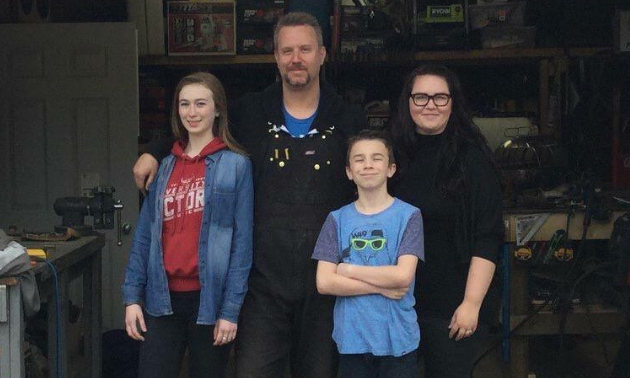 His wife, Misty Lee, handles all media posts and is the designated “Hype Man.” Their 15-year-old daughter, Regan, is an apprentice metal butcher and welder, and their 11-year-old son, Evan, helps with odd jobs and uses his creativity and problem solving to improve projects. 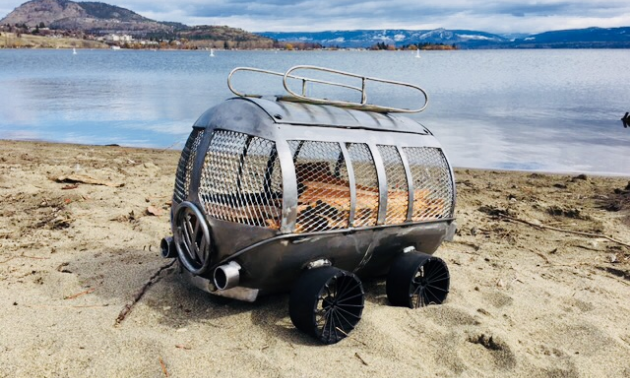 Barnyard Empire’s current projects include a custom Tie fighter for indoors with LED lighting, a four-foot-diameter death star fireglobe and a seven-foot tall rampart lion sculpture for an outdoor piece. Schewe also makes smaller projects such as picture frames from old doors and Bluetooth stereos made out of vintage suitcases that can be taken on camping trips. 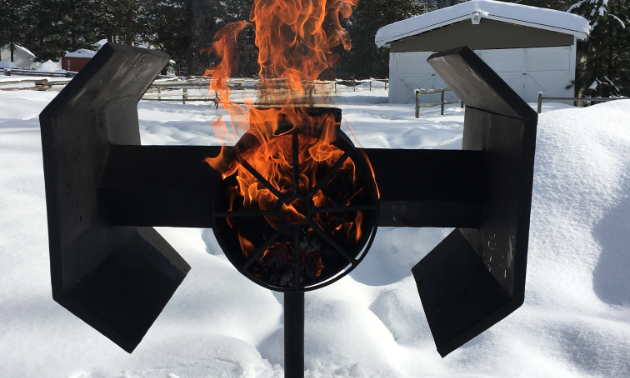 If Barnyard Empire’s impressive firepits have spurred your imagination, Schewe can work with you to turn your idea into a reality. “I really love the idea of bringing people’s visions to life and collaborating to make it even better than they’d hoped,” he said. What if you can’t become a full-timer? 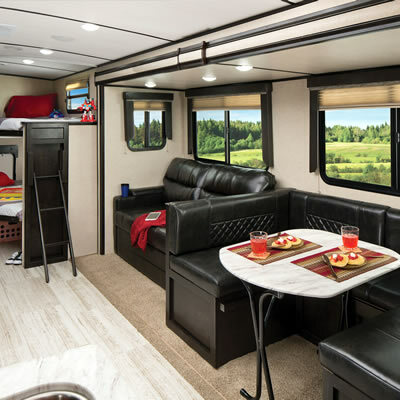 Okay, so not everybody wants to live in their RV full-time, giving up their home and squeezing all of the worldly belongings into a 36-foot fifth wheel or motorhome.